Author’s note: Read our analysis of Callaway’s acquisition of Jack Wolfskin by clicking here. And look for more coverage in the coming weeks, including conversations with leaders from both companies. Solid performance across Callaway Golf Co.’s core golf business led to impressive revenue growth in 2018, and now the company is banking on a new division—Jack Wolfskin, which Callaway just acquired—to become an integral asset. For the full year of 2018, Callaway’s net sales increased $194 million, or 19 percent, to $1.2 billion, reflecting increases in each of the company’s operating segments and in each reporting region. A deeper dive into product mix shows Callaway saw improvement in irons, putters, golf balls and gear/accessories/other categories. According to Golf Datatech, Callaway is No. 1 in golf clubs market share and No. 2 in golf balls market share, while Callaway’s overall golf equipment market share is 24 percent, though “several key [Callaway] accounts are not captured in this data,” Chip Brewer, president and CEO, said on Wednesday afternoon’s earnings conference call with analysts. Other tailwinds for Callaway included a full year of increased TravisMathew sales as a result of that brand’s acquisition in August 2017 and improved industry and macroeconomic conditions, such as favorable changes in foreign currency exchange rates, which positively impacted the company’s net sales by approximately $14 million in 2018 compared to 2017. Brewer said these favorable market conditions helped drive golf growth in 2018, but the company’s strategic acquisition beyond that core focus—Jack Wolfskin—should be a differentiator in 2019 but especially the following year and beyond. “Although there was some slowing during Q4, market conditions were positive as a whole for last year and we once again grew our core business faster than the market while simultaneously strengthening it to be a strategic and tactical reinvestment,” Brewer said on the earnings call. “We have also been able to find attractive opportunities for growth in areas that are tangential to our core and where we believe there are synergies that will help us create long-term value. Brewer said there was “nothing to report on the Jack Wolfskin business at this point,” but he did note that the company closed on the acquisition in the first week January and is now in the integration phase for operations, finance and IT. And, more importantly, that Callaway is teeing up its strategy for growing the Jack Wolfskin brand in key markets like North America. Although Brewer and CFO Brian Lynch didn’t go into too much detail on plans for Jack Wolfskin, they did touch on it when analysts pressed them on expectations for the asset now that the acquisition has closed. Looking at Callaway’s outlook for 2019, the company is assuming that overall market conditions will be flat to slightly up in 2019 compared to 2018. The company expects sales in its golf equipment business to grow faster than the market with low to mid-single digit growth, and double-digit sales growth in its OGIO and TravisMathew brands and with Jack Wolfskin performing consistent with the sales expectations the company previously announced. The company is still in the process of determining the amount of non-cash purchase accounting adjustments for the Jack Wolfskin transaction. The company currently estimates that these non-cash adjustments will have a negative impact on 2019 earnings per share in the amount of 9 cents to 16 cents. The non-cash amortization expense related to the purchase accounting for the OGIO and TravisMathew acquisitions will have a 1 cent negative impact on earnings per share in 2019, consistent with 2018. The company estimates full year 2019 net sales growth of 34 percent to 37 percent. The increase is driven by 4 percent – 6 percent growth in the core golf equipment, apparel and accessories business with the balance coming from the addition of the Jack Wolfskin net sales. This assumes a flat to slightly improving overall golf market and no material change in foreign currency exchange rates, which are expected to have a negative $6 million impact on 2019 net sales compared to 2018 with most of the impact occurring in the early part of the year. The company estimates full year 2019 earnings per share of 93 cents to $1.03, which includes approximately $34 million of incremental interest expense related to Callaway’s Term Loan B financing completed in January. 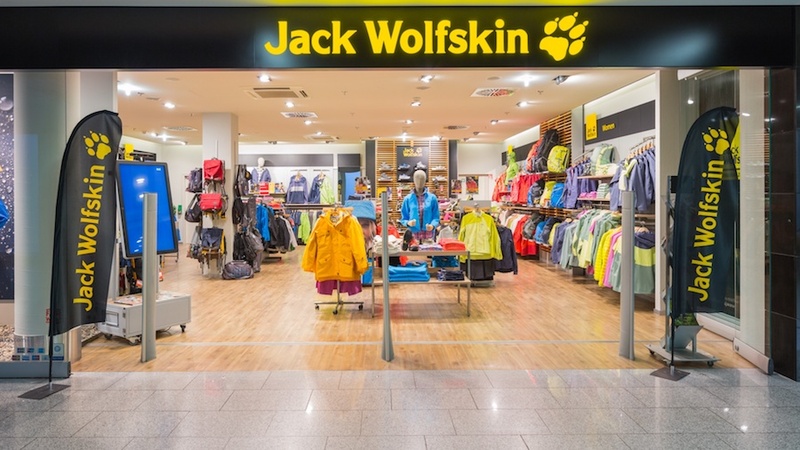 The company’s 2019 earnings per share estimate assumes an effective tax rate of approximately 22 percent which is higher than 2018 due, in part, to the higher tax rate related to the Jack Wolfskin business. These estimates also assume a base of 97 million shares in 2019, approximately flat with 2018. The company estimates full year 2019 Adjusted EBITDA growth of 19 percent to 28 percent when compared to 2018. This increase is driven by growth in the core business and an estimated additional $33 million from the Jack Wolfskin business, partially offset by increased tariff expense and adverse changes in foreign currency exchange rates. Adjusted EBITDA excludes non-cash stock compensation expense, as well as non-recurring transaction and transition expenses related to the Jack Wolfskin transaction. For the most part, analysts commended Callaway’s current positioning. Based on Q4 and full-year 2018 results, plus 2019 outlook and integration of Jack Wolfskin, the company is poised for another solid year. However, other analysts countered this position and elevated the risks that Callaway faces with both the Jack Wolfskin addition and some instability in the golf business.